The Old Testament book 1 Samuel (known as 1 Kings in modern Bibles) contains one of the most dramatic stories in the Old Testament, with its tense narrative about Israel’s first attempts to govern itself by kingship, and a cast of famous characters who drive the story — the priest and prophet Samuel, the tragic figure of King Saul, and chiefly David himself, the youngest son of Jesse, who slays the Philistine’s champion, Goliath, and gains God’s favour in replacement for Saul. The Venerable Bede (672-735 AD), Anglo-Saxon England’s foremost interpreter of the Bible, wrote many commentaries on the Old Testament, but his treatment of 1 Samuel stands out in particular: it is one of his longest commentaries, one of his first sustained attempts to deal with the Old Testament without support from an earlier commentary, and one of the few commentaries he wrote that can be dated precisely. Bede sets out to read the story of 1 Samuel as full of details which demonstrate the prophetic nature of Old Testament history, an attempt that is boldly experimental in its application of the allegorical method of interpretation. Historically, the commentary is of special interest for its detailed reference to the departure of Abbot Ceolfrith from Wearmouth-Jarrow in June 716 AD, which has allowed scholarship to firmly date the work and explore some potential links to the turbulent political scene in Northumbria that marked that decade. This English translation is the first rendering of the Latin into another language. 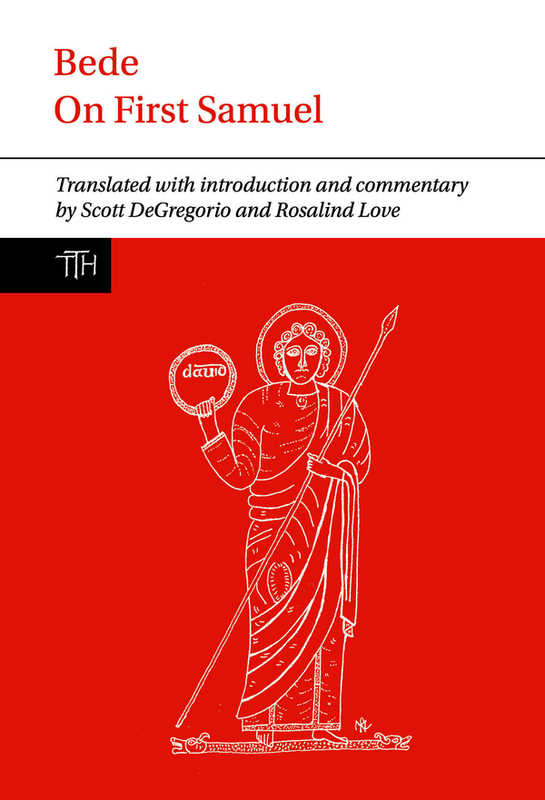 The translation is preceded by a substantial introduction that places the work in the context of Bede’s oeuvre, discusses his sources and exegetical methods, and offers a reading of the work’s contemporary context in the light of current scholarly debate. Scott DeGregorio is Professor of English and College-Wide Programs at the University of Michigan -Dearborn. His previous publications include: Cambridge Companion to Bede, ed. (2010); Innovation and Tradition in the Writings of the Venerable Bede, ed. (2006) and Bede: On Ezra and Nehemiah, in the Translated Texts for Historians series (2006). Rosalind Love is Reader in Insular Latin in the Department of Anglo-Saxon, Norse, and Celtic at the University of Cambridge and a Fellow of Robinson College. Her previous publications include 'The Library of the Venerable Bede’, in The History of the Book in Britain, vol. 1, ed. Richard Gameson (2011) and Goscelin of Saint-Bertin. The Hagiography of the Female Saints of Ely, Oxford Medieval Texts (2004).